Jewelry has been around for ages, literally. Did you know that engagement bands first began back in Ancient Egypt, with the circular shape symbolizing the never ending cycle, and the space in it as a gateway? Nowadays, the important sentiment persists, with halo engagement rings being the most popular style. The halo means that there are small diamonds around the centered diamond, which gives it the look of a diamond that’s 30% bigger. The Hope Diamond, which is arguably the world’s most famous diamond, is a 45.52-carat deep-blue diamond that’s now found a home in the Smithsonian Natural History Museum. Although you probably can’t afford a national treasure like that, you can still get the perfect diamond for jewelry such as diamond stud earrings with some savvy shopping ideas. The carat, which is the diamond’s physical weight measured in metric carats, is the biggest determining factor for its price. Pieces like diamond stud earrings with multiple diamonds can be described in terms of total carat weight, which is the total combined weight of all stones in it. However, since large stones are very rare, the price can increase exponentially. 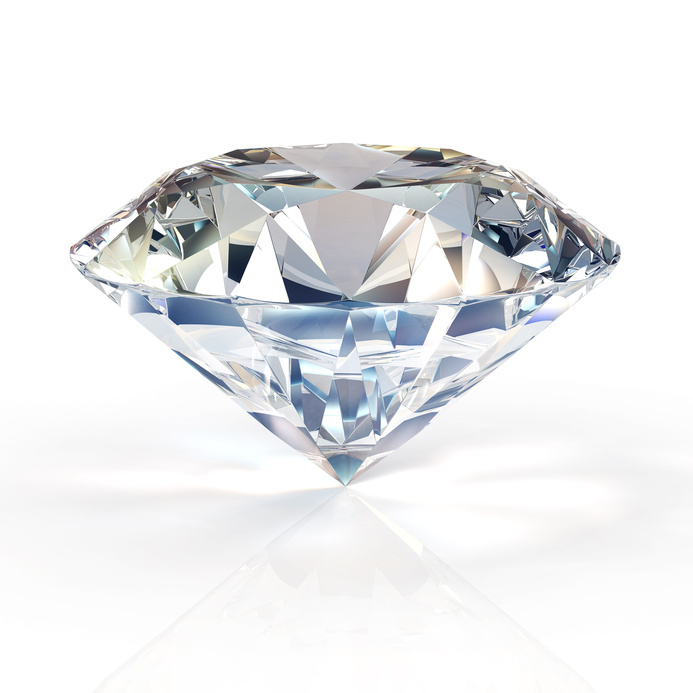 For example, two single carat diamonds are much cheaper than a two carat diamond.